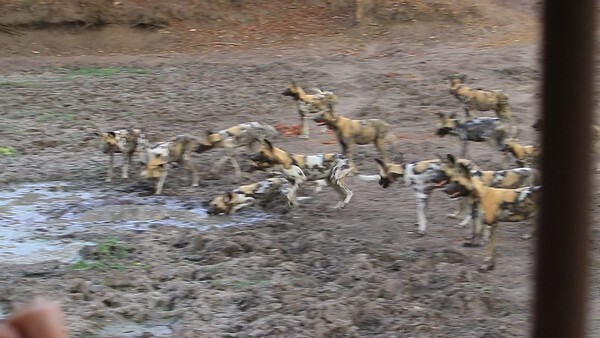 Raw video of wild dogs prepping for a dinner hunt. First a mudtini, slightly dirty. But watch out for the crocs! Note the kids safe and way back from danger. Alpha male is collared and talking the most.